Sell Your Photos | Sell your story to a newspaper, magazine or TV. Want to sell your photos or image to a newspaper or magazine? But worried that your picture might be printed without your consent? At National Story we offer a safe way to sell your photo to the press. What sort of photos do you sell? Celebrities: While a photo of a celebrity attending a film event (which lots of people might have) might not earn you much money, an exclusive photo of that celebrity during their school days, at an unusual place (your school fair for example!) or doing something out of the ordinary might well be saleable. People in the News: An ordinary person who’s at the centre of media attention – perhaps because they’ve been found guilty of murder – or their victim can become very valuable. Or photos of a news event that you become involved in – an incredible escape from what looks like a serious accident for example. The wierd and wacky: A giant paw print that shows big cats roam in your garden, the photo of the family cat and mouse who love to sleep curled up together, or the biggest chicken egg in the world can make lovely stories for national newspapers. How much money can you sell my photo for? Anything from £100 up to thousands if your story is really sought after. At National Story we deal with all the national newspapers and magazines and can also arrange, with your permission, to sell your story worldwide. Remember, each time your story is printed, you will be paid. Can you guarantee my photo will not be printed without my consent? Yes. 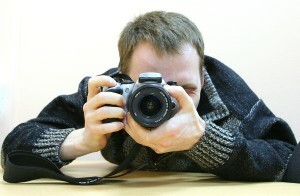 Legally the copyright to any photo you take, or own, automatically belongs to you. So legally we will need your written consent to sell it on your behalf. Selling your photo via National Story ensures a newspaper does not sell your photo on without our permission (and therefore your permission.) In many cases, if you wish, we will be able to get your name credited as the photographer or owner of the picture. Selling a photo via National Story is the safest way to make money from your photo and retain all control over it. I was thinking of approaching a newspaper directly to sell my photo? As with stories, we will work out a marketing strategy so not only are you confident your photo will not be printed without your consent, we will work with you to gain the highest fee. This is not achieved by going to one paper but by speaking to a number of editors to see who will pay the most money – and also by reselling your photo for you, sometimes worldwide. We will tell you of all interest we receive and put offers in writing. What about selling my video? As with photos, video footage can also be very saleable and can be sold to newspapers and magazines for website use, as well as being sold to TV. Don’t send us your photo yet. Contact us via the Sell Your Story form with a few details describing your photo. We will be able to tell you straightaway if we feel your photo has potential.